Synology's just made available its spanking new media-friendly storage hub, ripe for cramming in box-set after box-set of your favourite tele. 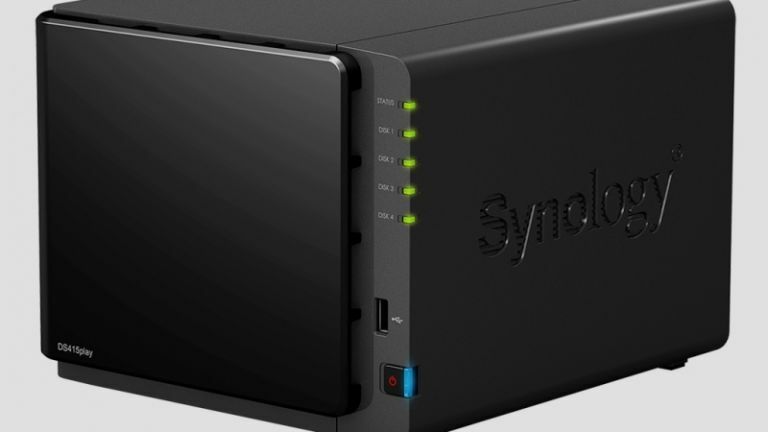 Taiwanese electronics firm Synology has unveiled a brand new NAS unit designed to store, stream, and share media in your own home. NAS, or network-attached storage, is basically a storage hub that can be accessed by multiple devices via an internet connection. Think of it as your own personal cloud-storage that runs off your router, so anyone on your WiFi network can tap into the files. The DS415play is Synology's latest addition to its NAS roster, aiming to centralise your media collection and share them around the home with minimal effort. The new hub boasts an incredible 24TB of storage space, and can transcode full 1080p HD footage, meaning you can stream high quality content to any compatible devices connected to your network. Synology's latest NAS system makes use of four drive bays, building on the popularity of its predecessor, the DS214play. Michael Wang, Synology's product manager, says the firm went with big storage for the update "to make it even more appealing to media fanatics." It's a super-charged media hub as far as network storage units go, sporting a dual-core 1.6GHz processor, 1GB of memory, and some nippy read/write speeds too. The 415 hits an average 112MB/sec read speed and 101MB/sec write speed, which means transferring files will be lightning quick. It also makes use of the DSM 5.0 operating system, which means it has access to a smorgasbord of apps too. You can pick up a DS415play from today for £372, and is shipping globally according to Synology.